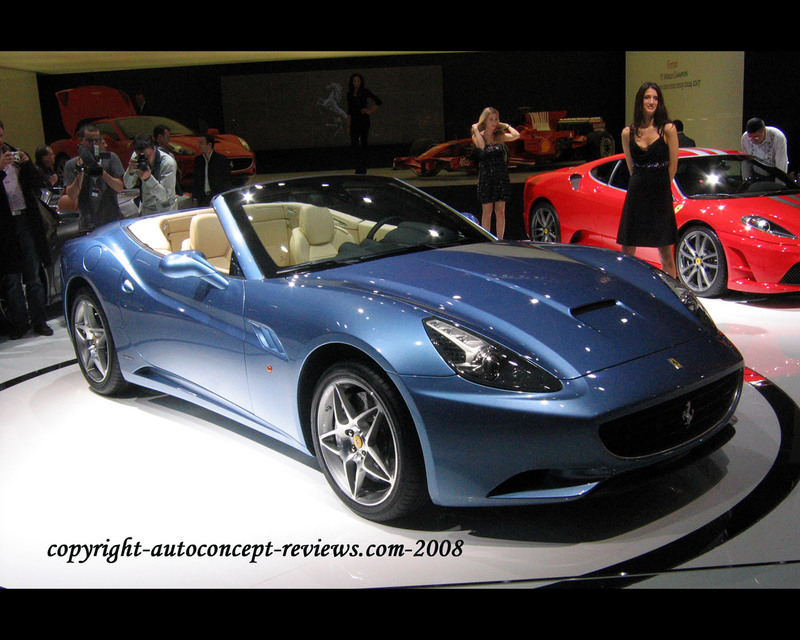 The Ferrari California 2008 generates strong attraction because it is extremely innovative and, at the same time, inspired by the spirit of the Ferrari California 1957 designed by the same Pininfarina. 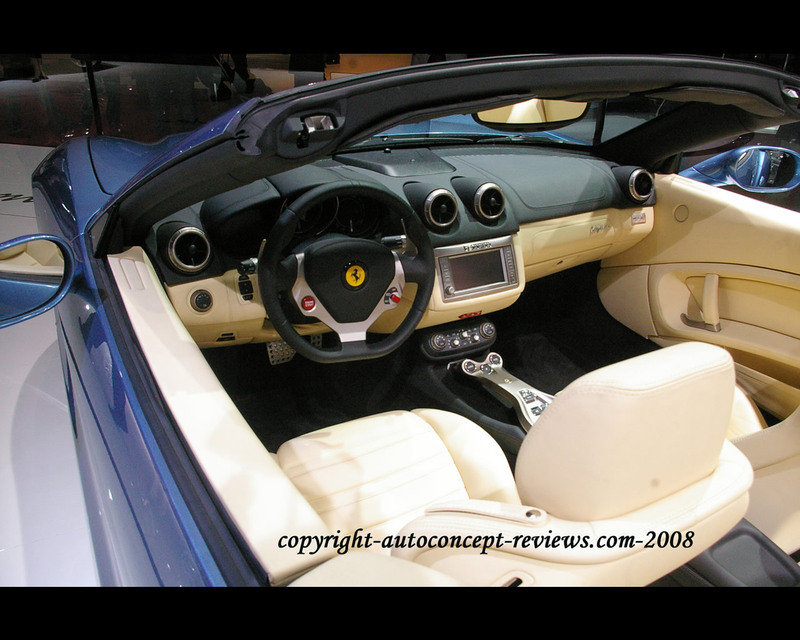 In addition to its retractable roof and the original 2+ concept, the new Ferrari California also offers a new direct injection V8 engine and a 7-speed gearbox with steering wheel mounted F1-style paddles coupled with a new dual clutch. 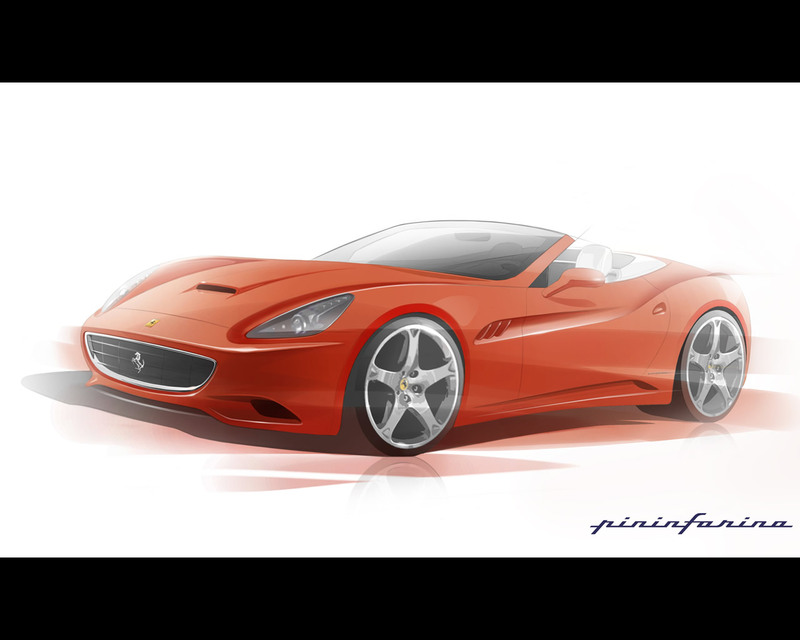 The Ferrari California proposes a new suspension system with double wishbones at the front and multilink at the rear as well as the an evolved F1-Trac traction control system and Brembo brakes with carbon ceramic discs. 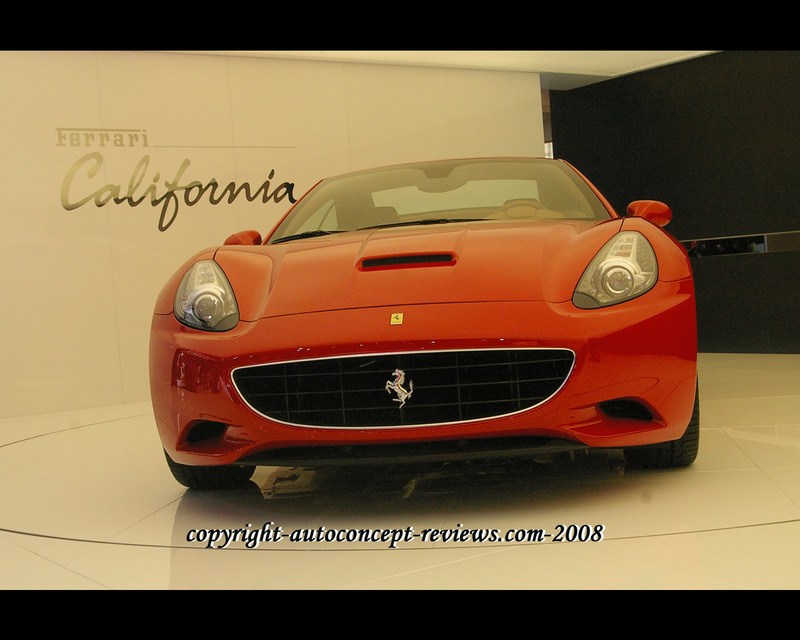 For the launching of the Ferrari California the Company initiated a communication strategy using a dedicated website (www.ferraricalifornia.com) which featured a countdown to the publication of the very first photos of the car; it was updated periodically with information and interesting facts about the car. 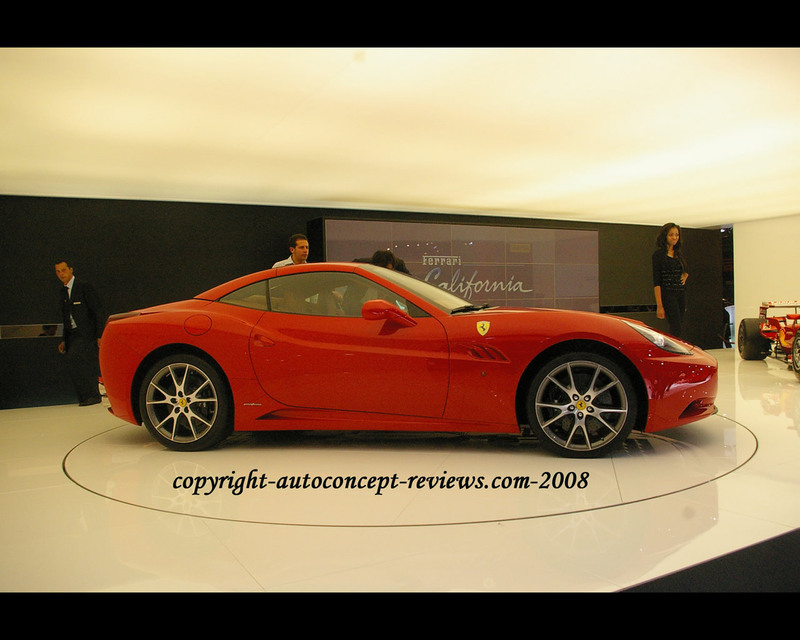 Visitors to www.ferraricalifornia.com were also able to watch the Ferrari California world preview live.This preview took place simultaneously in Maranello and Los Angeles, and was attended by over 2.000 specially invited guests. 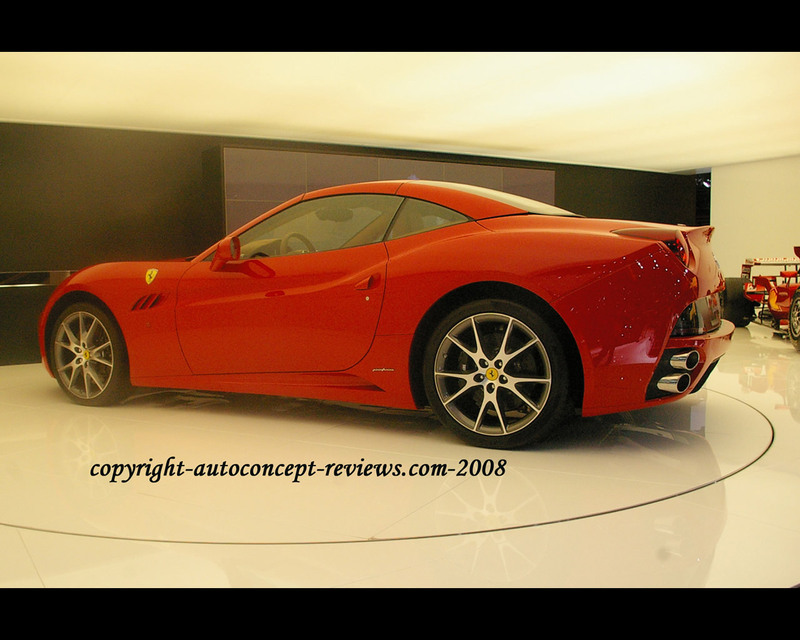 At Santa Monica private airport, a special charity auction, in the presence of Ferrari Vice President Piero Ferrari, saw a new Ferrari California sold for 520.000 U.S.$. In Maranello, the preview occured in the presence of Ferrari President Luca di Montezemolo together with Scuderia Ferrari drivers Kimi Raikkonen and Felipe Massa; Michael Schumacher was on hand too as he has been involved in the development of the Ferrari California. Specifications: Engine 90° V8 Direct Injection, 4.297 cc. 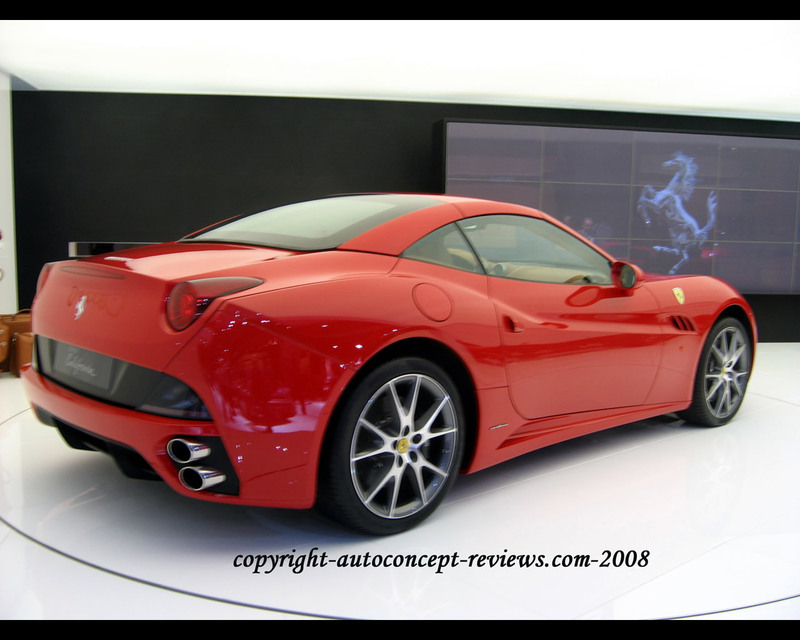 Compression ratio 12,2:1, maximum output 338 kW (460 hp) at 7.750 rpm, maximum torque 485 Nm at 5.000 rpm. 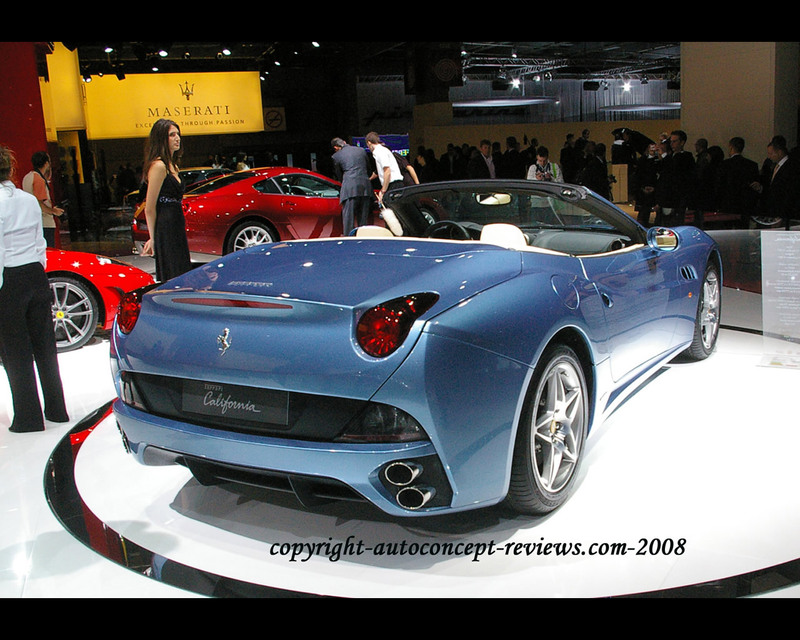 Gearbox F1, dual clutch, 7-speed plus reverse or manual 6-speed + reverse. Maximum speed 310 kph, 0 to 100 kph in under 4 seconds; 0-400 m in 12,2 seconds; 0-1.000 m in 22,1 seconds; fuel consumption ECE combined 13,1 litre/100 km; CO2 emission 305,6 g/km. Dimensions: length 4563 mm, width 1902 mm; height 1308 mm; wheelbase 2670 mm; dry weight 1630 kg; boot capacity 340 litre (240 litre with roof retracted).